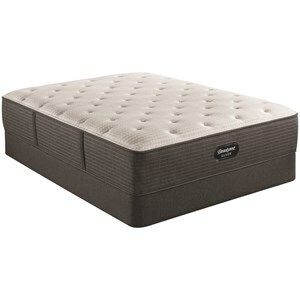 The BRS900 Extra Firm Queen 11 3/4" Extra Firm Pocketed Coil Mattress and Simple Motion Adjustable Base by Simmons at Furniture and ApplianceMart in the Stevens Point, Rhinelander, Wausau, Green Bay, Wisconsin Rapids, Marshfield, East and West Madison, Wisconsin area. Product availability may vary. Contact us for the most current availability on this product. 700810102-1050 Queen 11 3/4" Pocketed Coil Mattress 1 11.75"
The Beautyrest Silver BRS900 Collection emphasizes Support, Longevity and Coolness. Think of how important it is to have, the comfort you feel when you first get your mattress, last for years later. Supported with the World's Premier Sleep System, the 900 series Pocketed Coils, forming to your body filling every curve, supporting your spine. Layers of high quality comfort foam including a Gel Memory Foam Lumbar Support for extra support where needed most, help retain the feel of your mattress. 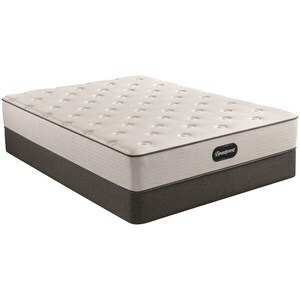 You'll retain the Ideal Sleep Temperature through Beautyrest's DualCool™ Technology. 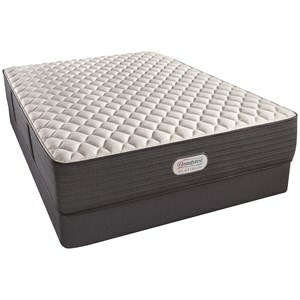 The BRS900 Extra Firm collection is a great option if you are looking for Mattresses in the Stevens Point, Rhinelander, Wausau, Green Bay, Wisconsin Rapids, Marshfield, East and West Madison, Wisconsin area. Browse other items in the BRS900 Extra Firm collection from Furniture and ApplianceMart in the Stevens Point, Rhinelander, Wausau, Green Bay, Wisconsin Rapids, Marshfield, East and West Madison, Wisconsin area.